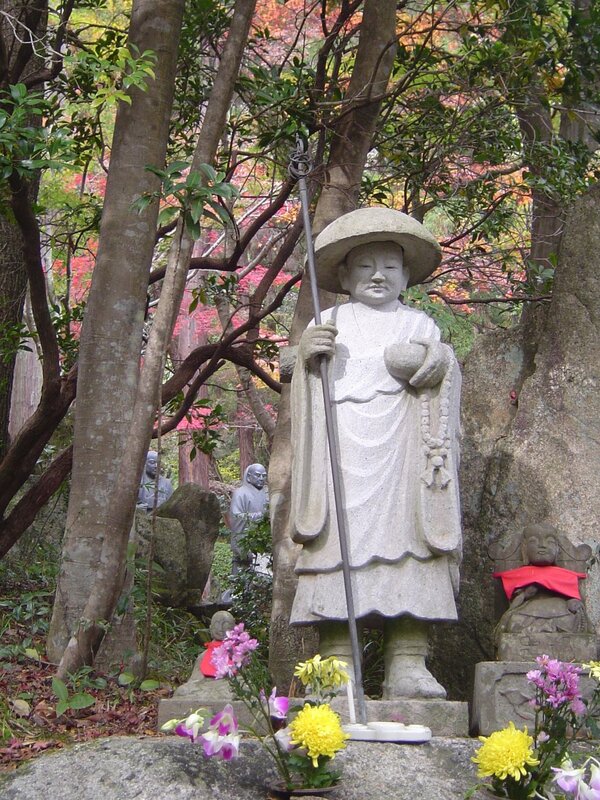 Mitaki Temple (三滝寺) is a popular woodland temple dedicated to Kanon (Goddess of Mercy). 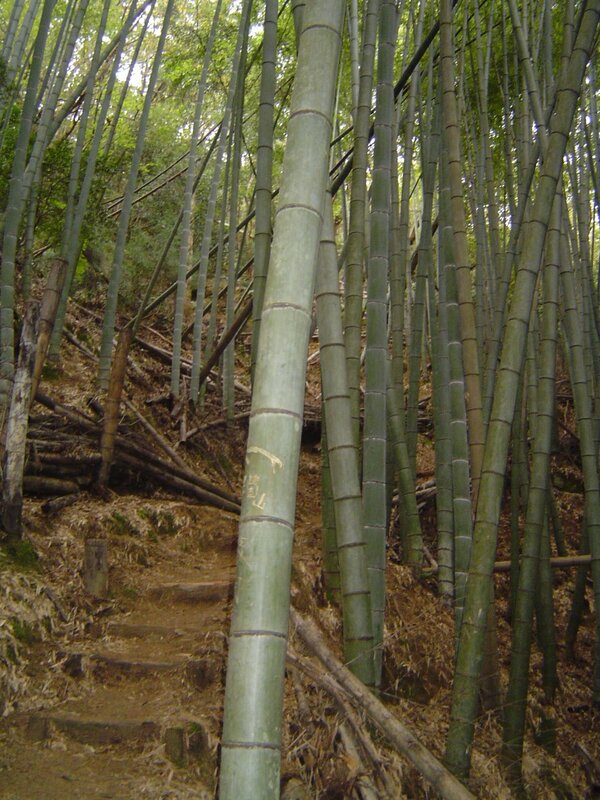 It is located a fair distance up the slopes of Mount Mitaki in a quiet valley. The overall harmonious atmosphere of the temple grounds is highly cherished by its admirers. 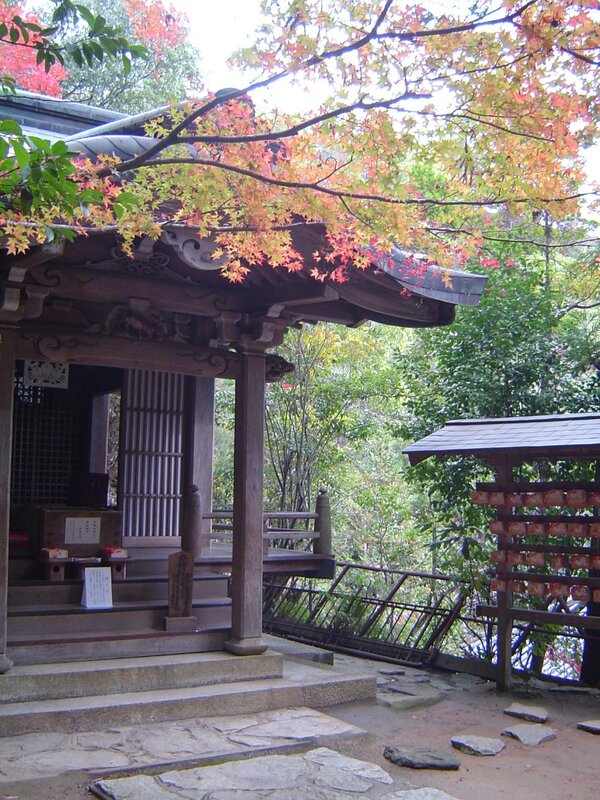 The temple is also the starting point for two trails up Mount Mitaki. 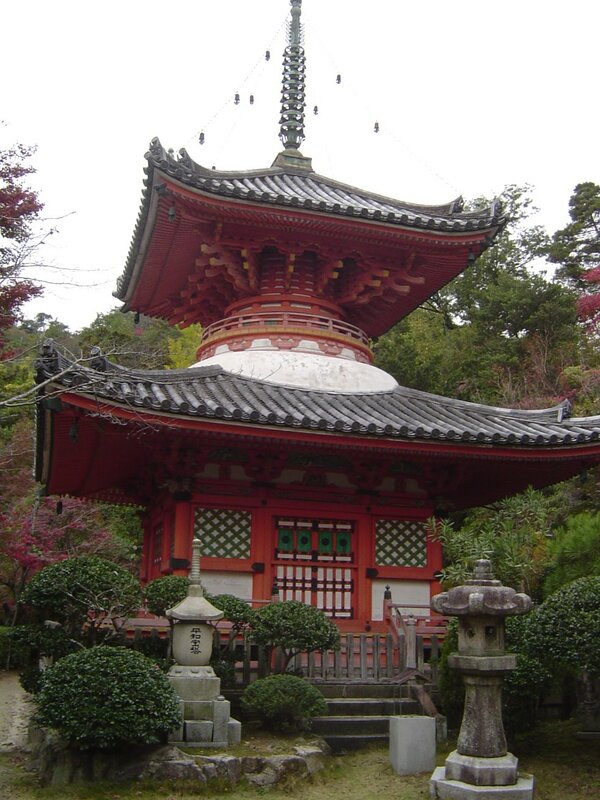 The red vermilion (Tahoto) pagoda at Mitaki Temple is an important cultural property and was moved there in 1951 from a shrine in Wakayama City where it was was originally built in 809 to help comfort the souls of those lost in the atomic bombing. Water from the temple was used to treat the burns of those injured in the attack and a number of other memorials are located on the temple grounds. The natural beauty of the temple grounds is embodied best by the Bonon Waterfall which tumbles down a steep cliff to form a small river that runs through the temple grounds. 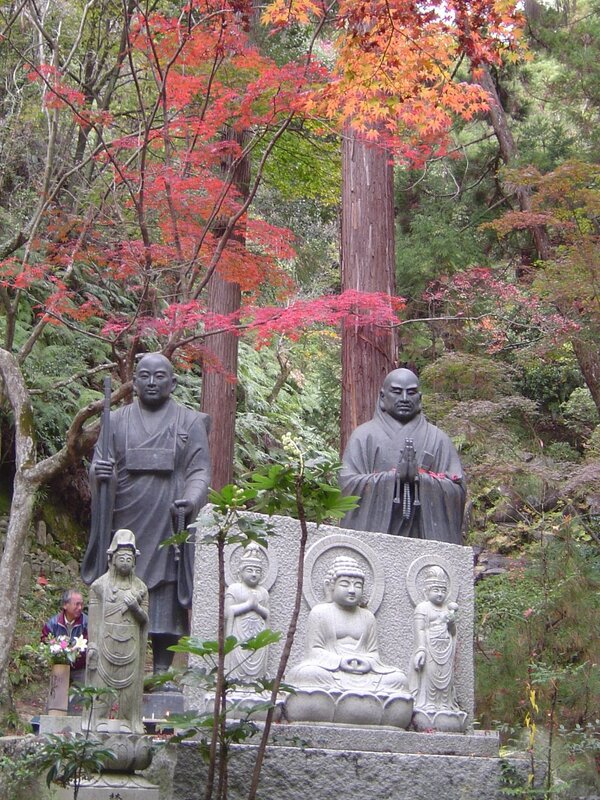 The temple is incredibly popular during the last two thirds of November when the maple leaves are turning to red. 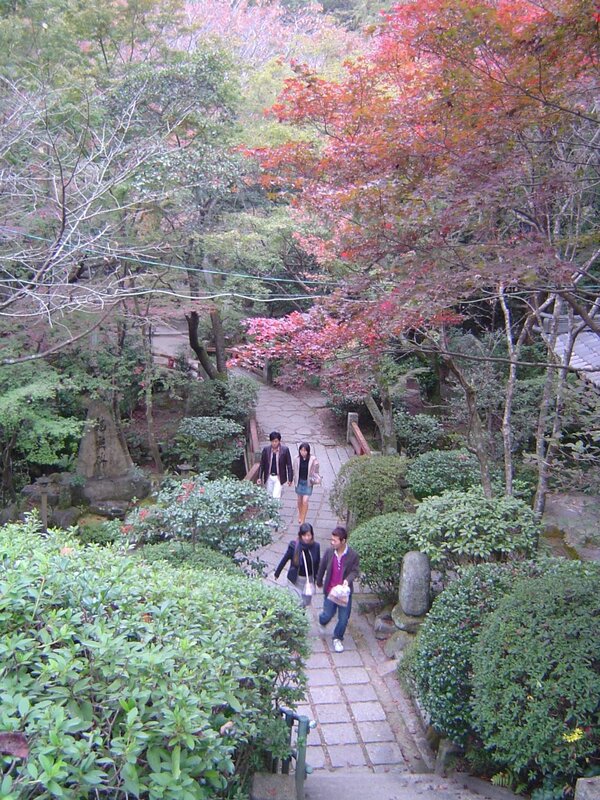 Around 500 maple trees are said to be planted on the temple grounds. A number of cherry trees have also been planted in the area for blossom viewing in the spring as well. 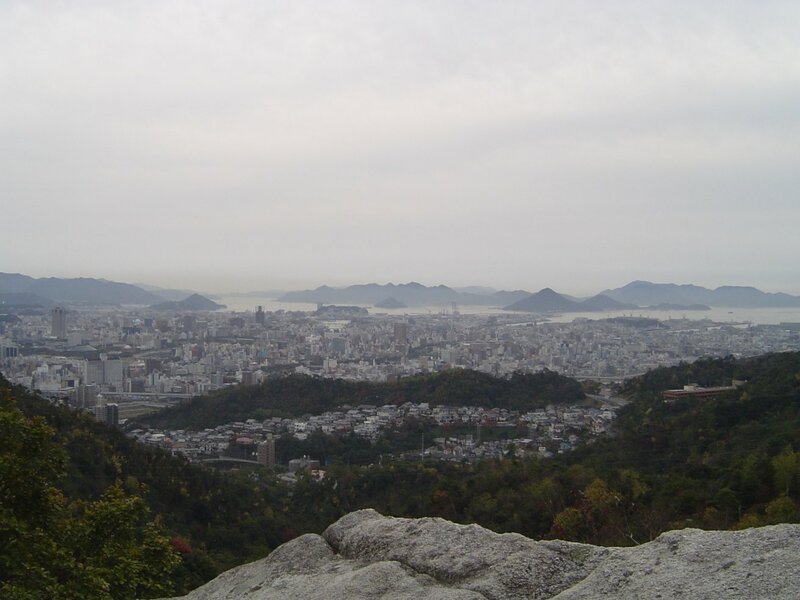 The two routes from the temple to the top are vastly different in difficulty. 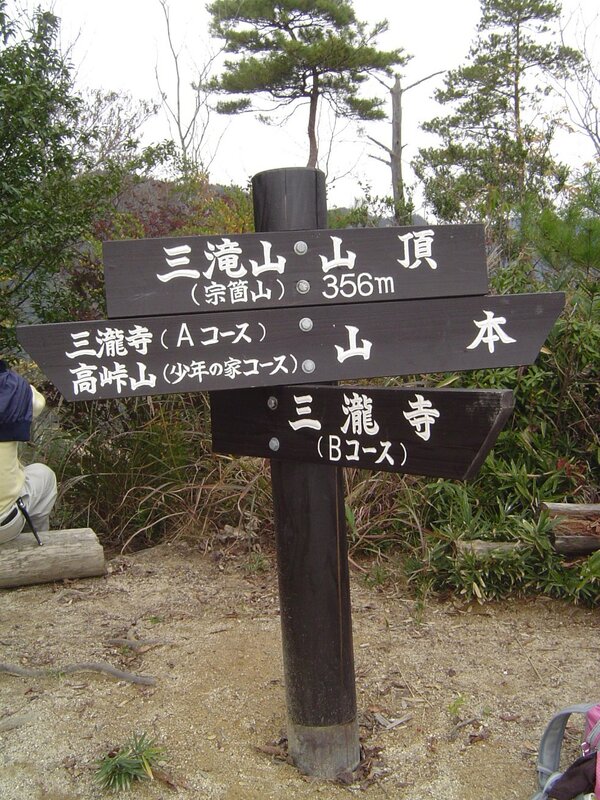 The 'A Route' (1.6 km) is for the casual mountaineer while the 'B Route' (1.1 km) is muddy, dangerously steep in sections and, except for near the top, far less scenic. 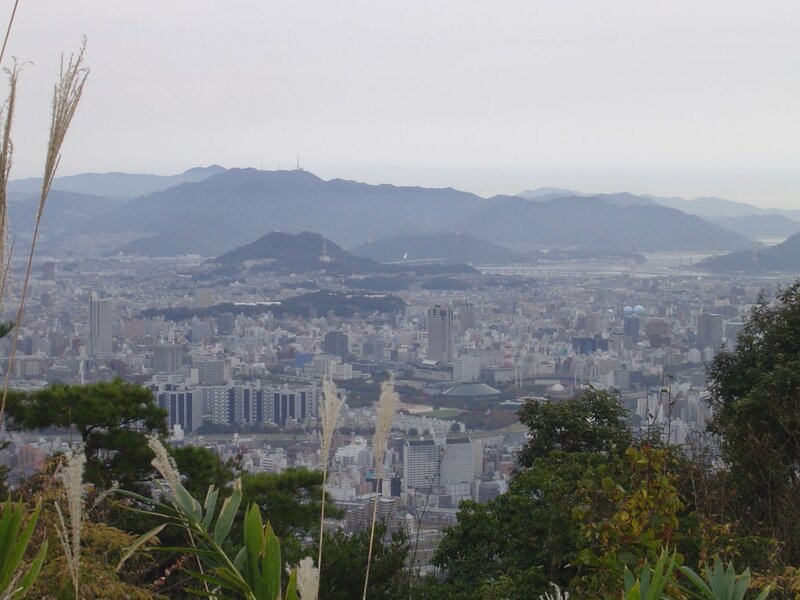 The two routes form a circular path around the mountain that is 2.7 km long. Hikers are asked to be off the mountain by sunset. The easiest way to reach Mitaki is by JR train. 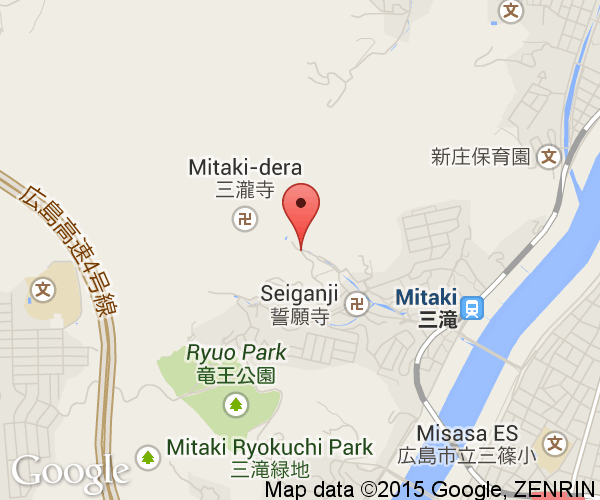 Mitaki Station (三滝駅) is the first stop (3 min.) on the Kabe Line after leaving Yokogawa Station (横川駅). 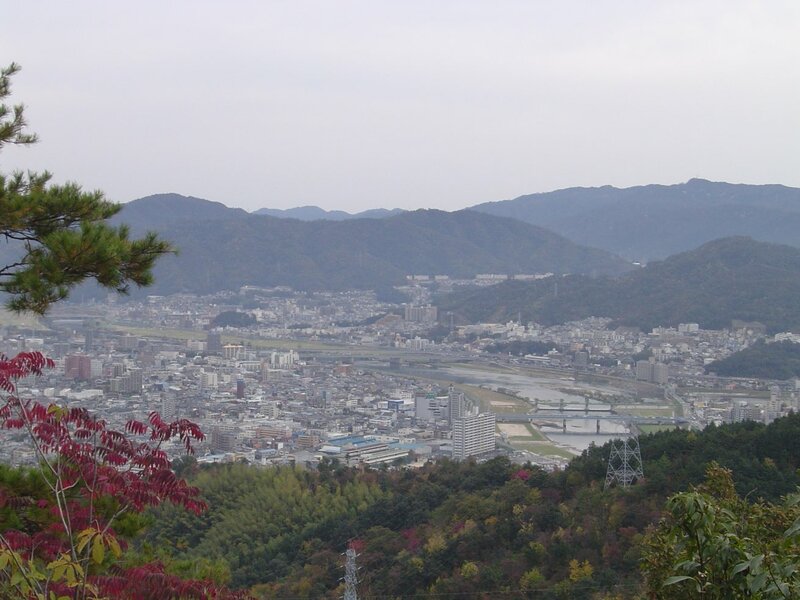 Alternatively, Mitaki is only a 15 to 20 minute walk across and along the river from Yokogawa Station. In front of Mitaki Station, there is a map and more along the way. Mostly, it's just a matter of walking up the hill to the west for 15 minutes from the closest train crossing. There is also a bus that departs about once an hour from Hatchobori to Mitaki. The closest bus stop to the temple is called "Mitaki Kanon". There are around 30 parking spaces at the temple but they quickly fill up during the fall.